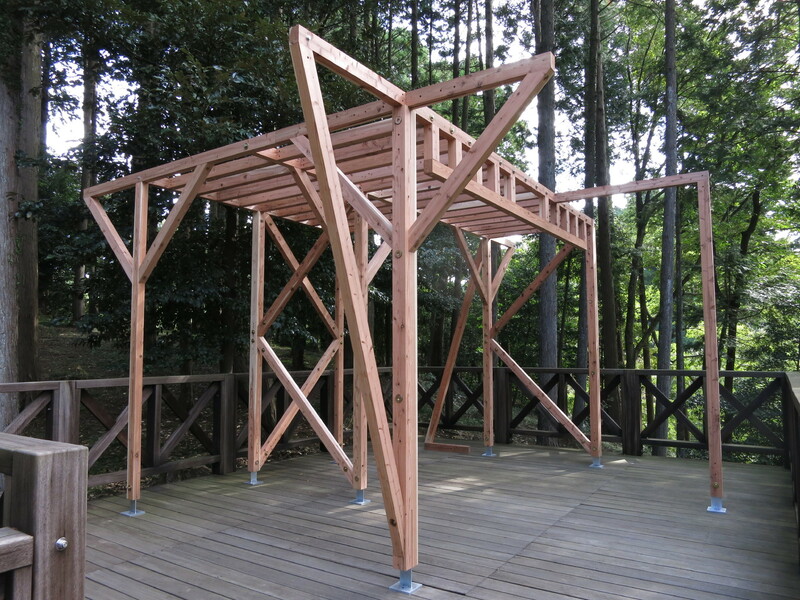 Stroog connectors were used in the pavilion of “Yamanoonbu 2016” held at Sanbunomori Park in Sanmu City, Chiba Prefecture. 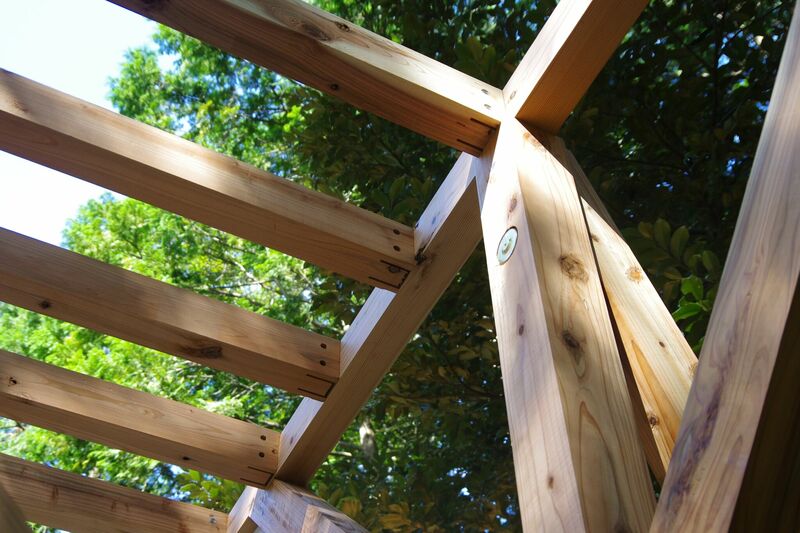 Since Node.HSS connectors can be used for 90mm x 90mm timber material and only requires small slits, it can realize beautiful joints. 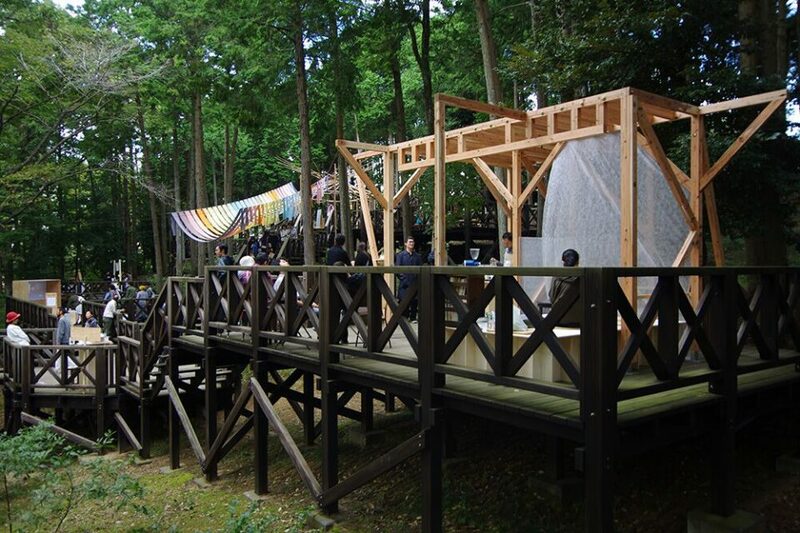 “Sanbu material hut” using domestic timber Sanbu cedar was established as a resting place in the deck area. Sanbu cader has many excellent characteristics but it is susceptible to diseases such as grooves rot, and abandoned mountain forest are problems. 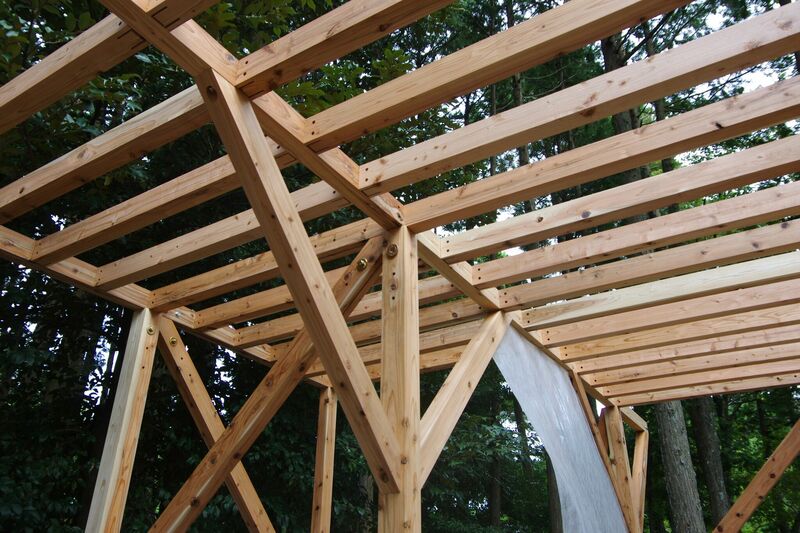 In this project, to use the remaining healthy parts effectively, the frame combining various sizes of small diameter materials was considered.